Our first dinner as a group at La Cocina in El Calafate. 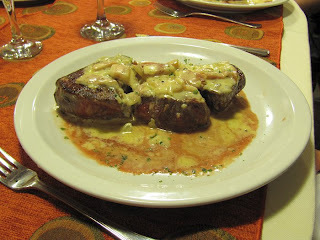 Steak with cream sauce, onions and ham plus Patagonian malbec. Buen provecho!